The area codes of Puerto Rico are 787 and 939. There are plenty of cell towers on the mountains of Puerto Rico and for the most part reception is great (See Cell Signals/Internet in following section). Because Puerto Rico is considered as part of the United States by some major carriers like AT&T, you won’t be considered “roaming” and your normal charges may apply. Check with your carrier before you come so you don’t have your bill jacked up. In my case, I have a 786 area code from Miami and I’ve used it normally the 4 years I’ve lived in Puerto Rico and can call the States back and forth without extra charges to my bill. The attire of Puerto Rico is unlike that of the United States. It’s more of a “laid-back” wear shorts and flip flops kind of place. Dressing for the beach/hiking during the day (sneakers, etc), and the night time is somewhat informal as well. Sure there are nightclubs where they dress to the nines, but for all intents the attire is pretty casual on this island. If you’re visiting the mountains in the Cordillera Central Mountain range, it does get cool in the nights so it’s advised to bring sweaters. 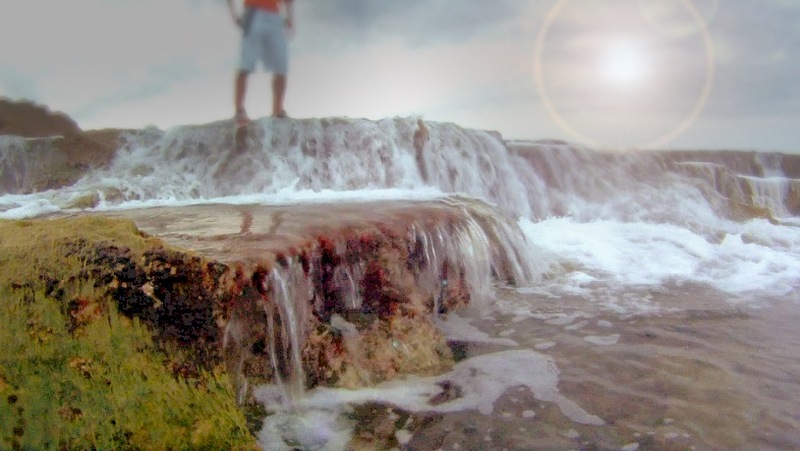 Other than that, jeans, shorts, tshirts, sneakers, sundresses, bathing suits, bikinis, and loose cotton clothing is your best bet to be comfortable in Puerto Rico. The Taino Indians lived in peace for thousands of years in both B.C and A.D Gregorian calendar “time.” They lived near the rivers, the mountains, and the nature, and believed that Puerto Rico was a sacred place as it was the “center of the Caribbean islands.” They freely traded with the island to the west such as Hispaniola (Haiti/Dominican Republic today), and Cuba, as well as their islands to the east. Puerto Rico was considered the “spiritual center” of these Caribbean islands and would usually host the various tribes who canoed here from their respective neighboring islands to trade and learn from each other. The Taino Indians were on the precipice of being what historians consider an “advanced civilization” when during the 1500’s Columbus and the Spanish came and basically conquered the land and their culture. This “new world” began over 500 years ago and completely changed the dynamics and people of the land. Puerto Rico then began a 400+ year period of Spanish influence as the Tainos were completely wiped out. African slaves were also brought to the island to help with labor. The United States and America has ruled over the land (for all intents and purposes even still today) for over 100+ years. Thus, you see today the mix of Taino, Spanish, African, and American roots of the people who are Puerto Rican today. The direction of her future destiny is where many Puerto Ricans see things differently. Since I’m not from here (my parents are of Cuban heritage, and I was born and raised in the United States), but yet I’ve lived in Puerto Rico for 4 years, I feel I have an opinion and a different insight and viewpoint. We’ll leave that for the final version of the travel guidebook for those that are into these historical insights from a regular working person’s viewpoint. In Puerto Rico, most business hours are weekdays between 8:30AM-5:30PM Monday through Friday. Government offices are usually only open till 4:30PM, and banks typically till 3:30PM. Department stores and malls are usually open 9AM-9PM, and Sundays from 11:00-5PM. For bars and restaurants most of them typically close around 2:00AM. During holidays (and there are many in the island of Puerto Rico), pretty much everything is closed so be warned. See our Holidays section for details. If you’re into gambling and casinos, then you will find your share of options in Puerto Rico. Typically many of the hotels in the Metro Area of San Juan, Condado, and Isla Verde feature casinos. Proper formal attire is required and only those who are 18 years of age or older are allowed. Some of the best casinos include La Concha and San Juan Hotel & Resort. Cell phone coverage is usually pretty great on the island, especially around the Metro Area of San Juan, Isla Verde, and Condado. The most popular cell phone companies in Puerto Rico are AT&T, T-Mobile, Sprint, Claro, and Open Mobile. Some companies use CDMA signal and others GSM signal. There are various and numerous cell towers throughout the island and I’ve been living here for the past 4 years using AT&T and I’ve rarely had a dropped call or lost signal. Puerto Rico is often grouped in with the national plans of the United States so check with your company before traveling here. Roaming charges should already be included if you travel to Puerto Rico. The only times you seem to lose cell signals are when you’re high up in the mountains or deep inside the rainforests of the island. It come and goes, usually not for long. I’ve been pleasantly surprised with the amount of cell signal coverage the island has. If this is one of your worries, you’ll be pleased to know you’re signals should 99% work. In terms of internet, there is no general wifi places except if you want to go to your local Starbucks and get their free wifi. The better news is that the vast majorities of hotels provide guests with internet access either in your room or at least certain designated communal areas. There are also some Burger Kings and McDonalds that provide wifi. We recommend though that you make sure your LTE or 4G coverage is turned on so you don’t lose any signal – as it will definitely come in handy when you’re using Google Maps and other links when you’re navigating the island. Make sure you’re clear before you leave with your cell provider your best choice. But as we said, Cell Signals and Internet are excellent in Puerto Rico. Puerto Rico history is filled with religion and is a very important part of the cultural identity of the island. The Roman Catholic tradition is the most prevalent one today that was brought by the Spanish over 500 years ago, yet it is the Taino’s spirituality and connection with the nature of Puerto Rico that are it’s religious roots. Today, roman catholics make up about 85% of the population, while Protestants and other groups such as Muslims and Jews represent the other 15%. There are also places of worship of Baptist, Buddhist, Episcopal, Lutheran, Methodist, and Presbyterian churches on the island. Usually, you can see a church in most of the towns in Puerto Rico’s main square area or do a quick internet search for your area of worship to see where in the island they can be reached. The cuisine and food of Puerto Rico is considered by many the very reason why to travel to this country. Known locally as “criolla cooking” blending the best of Taino, Spanish, African, and American palettes make for absolutely savory Caribbean dishes to explore with your tastes. Boasting top notch restaurants and world famous chefs, you simply cannot go one day without eating a fantastic meal in Puerto Rico. The staple dish of mofongo – fried plantain-based dish that is typically made with green plantains mashed together in a pilón (which consists of a wooden mortar and pestle), with broth, garlic, olive oil, and pork cracklings or bits of bacon topped with a flavored sauce and filled with chicken, pork, or steak. And the drinks? Well, we haven’t even started. Try the Cuba Libre with Don Q. The travel guide will have an in-depth section of the cuisine of Puerto Rico as well as the best restaurants (with my reviews), plus the best chefs, dishes to try, as well as some ingredients or two for you to learn to make Puerto Rican food at home! All business in Puerto Rico is transacted in US dollars and there are many available banks and ATM machines for you to take out cash if so needed. Traveler’s checks are also accepted throughout the island. Most restaurants and hotels and tour excursions accept the following cards: American Express, MasterCard, and Visa. Some of the lesser known cards not as much. Some establishments require you to spend at least $10 to use their credit card network. The ATM’s in Puerto Rico are known as “ATH” – so just keep that in mind and don’t get confused. Currency exchange can also be arranged through one of the many banks you’ll see in Puerto Rico. Banks are typically open from 9AM-3:30PM Monday-Friday. In terms of relative costs and budgets, the following is true from my experience traveling the island. You must think of Puerto Rico having San Juan as the “tourist trap,” and the rest of the island that’s not. There are makedly different costs in each region so keep that in mind (you can use a rule of thumb of about 30% cheaper). Puerto Rico has a 5.5% sales tax and certain municipalities may impose an additional 1.5%. In addition, in the event that the governor determines an insufficiency in collections for the general fund an additional 1% to the central government will be imposed. Medical services & prescription medicine are exempt – so this tax applies to must goods and services on the island. Puerto Rico is mostly a service economy and its people rely on tipping as a major means of their income. Some hotels and restaurants automatically add a 15-17% tip so make sure you always read your bill. A good rule of thumb we believe is 15%-20% and is the standard. If you receive great service, then by all means give more. Because Puerto Rico is not an independent nation, it can’t enact diplomatic relations with anyone. There are no embassies in in San Juan, but there are plenty of consulates as well as honorary ones. It is represented by the US Embassies & Consulates and Puerto Rico hosts over 42 countries from the western hemisphere and Europe. You can find most consulates in San Juan Metro Area by looking at the yellow pages under “Consulados” or call the State Department’s Service for the Foreign Citizen at 787-723-2727. In Puerto Rico, in case of emergency you can call 911. 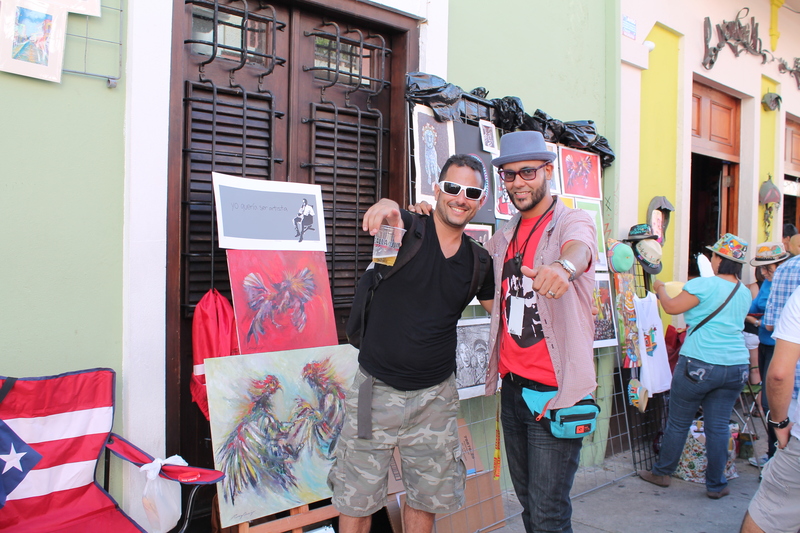 Puerto Ricans are by far one of the most friendliest people you will ever meet around the world. In fact, Puerto Rico was named a few years ago as one of the places in the world that has the most happy people according to a survey by a magazine. You may hear them be a bit loud and boisterous and may even get tense when talking politics, but it’s usually over and done with pretty quick with smiles and laughs. Puerto Ricans sing when they talk and speak really fast so you have to kind of keep up, and they typically gesture wildly with their hands to emphasize a part of the story. When you meet a Puerto Rican, as is the custom in most latin cultures, you typically kiss on the cheek. They also shake hands, but it’s a custom as well and friendly to kiss on the cheek. You’ll also notice when you’re eating they will always pass by you and say “Buen Provecho” – which translates to “Enjoy your Meal.” It’s pretty cool I must say and made a lasting impression on me when I kept experiencing it from complete strangers. In terms of your ettiquete the only thing we’d recommend is to come in with a great and joyful attitude and smile at people. There is a very, very, very small part of the population that looks for you to look at them with “hard eyes” so they have an excuse to fight – but that can be anywhere in the world. Just use common sense. The people of Puerto Rico 99% are very friendly and will love to talk. Oh boy do they love to talk! Just be ready and go with the flow and enjoy their unique points of views and crazy fun accents that sounds like a song you can actually dance to. Yes, we make fun of YOU if you’re a tacky tourist! Don’t be a tourist, be a traveler! Every day you turn your head in Puerto Rico there is a town’s festival to celebrate. 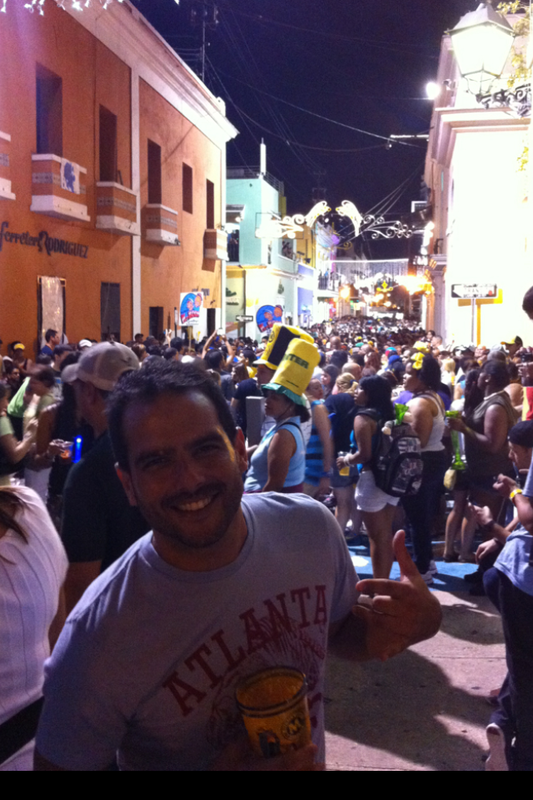 Puerto Rico is a haven for parties and festivals. Every town has a patron saint, and every saint a festival. The two most popular ones (and probably the ones that traveler’s will most enjoy) are: Noche de San Juan Bautista Festival (John the Baptist Night) that’s held in late June. It’s popular as everyone goes to the beach at night and have parties, and leap 12 times into the ocean backwards to be “blessed by the water.” The other party festival that is getting world recognition as a party destination is in Old San Juan in mid January called “San Sebastian Street Festival.” It’s an absolute party and artisan fair and can’t be missed if you’re going to be in Puerto Rico in January. Puerto Rico is pretty much a rectangle in shape and has a warm atmosphere surrounded by beautiful beaches all around. The island is 100 miles long by 35 miles wide with a stretch of mountains called the Cordillera Central running from the middle of the west coast all the way to the east pretty much splitting the island in 4 quadrants. There are many beautiful rivers and mountains and rainforests, and mind blowing caves and we go into great deal into the secret gems and places of the geography of our interactive travel guide “Puerto Rico Adventures Revealed.” You can easily see the entire island and all it’s regions in 5 Days. Hospitals and medical facilities in Puerto Rico are absolutely on par with those in the United States and other great ones in the world. There are top notch physicians and medical facilities and hospitals around the island and its health care system resembles that of the United States. There is no national health service per say and if you don’t have your own insurance it’s a “pay as you go.” In general fees are much lower than the United States. Most hospitals have a 24 hour emergency rooms. Listed below are some of the larger hospitals with emergency rooms and some pharmacies (pretty much any Walgreens you see). For more information contact the Department of Health at (787) 766-1616. Physicians: 1 Doctor per 523 people. Hospital Beds: 1 per 381 people. 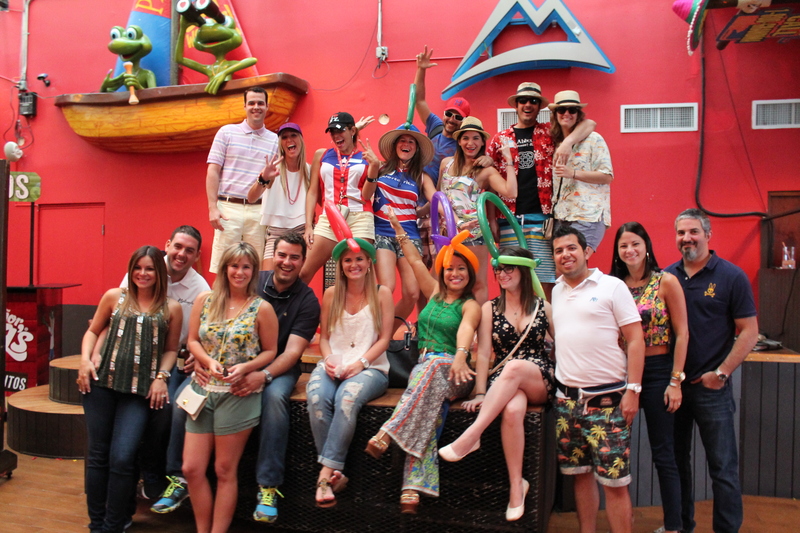 Holidays – When Everything Closes in Puerto Rico & Parties Begin! Puerto Rico is unique in that it seems everyday is a party or a holiday and places are closed. Here’s the “official” list, but keep in mind they also celebrate most Mondays. That’s a joke, but not really it seems! *Note there is a new legislative law in 2014 trying to eliminate about 4 days of holidays. The machine really wants us to work I guess. Just because you’re traveling with kids doesn’t mean the whole family can’t have fun in Puerto Rico. The island boasts many kid friendly activities and various hotels and waterparks that won’t make your kids go running for their smart tablets because they are “bored.” In Old San Juan, there are a few kid themed museums (Museo Del Niño the most popular “Museum for the Kid) on Calle Cristo. If museums is not their thing, you can also take them to fly a kite at the famous fields of El Morro Fort. If they also for some reason don’t like flying kites, then there are a few good waterparks in the island that are worth the trip with fun slides. See our Adventures & Activities section for more information. 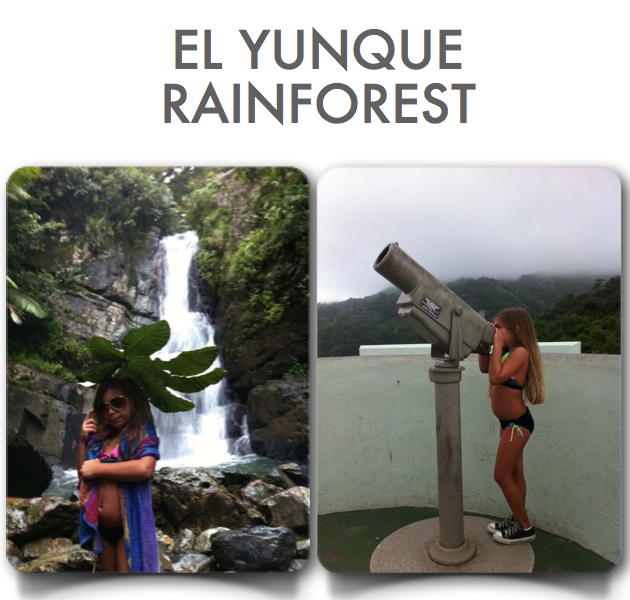 Of course, the beaches are all around you in Puerto Rico and many of the hikes described are super kid friendly. Puerto Rico’s liquor laws are more on the lenient side, in that you have to be only 18 years old to be allowed to purchase liquor in stores or buy drinks at bars, restaurants, and hotels. It is illegal to operate a motor vehicle at or above .08 blood alcohol level. If you need to store your luggage while docking in Old San Juan from a cruise ship, you can do so at Aloha Restaurant right across the street from the port, or at Barrachina Restaurant which is a longer walk and closer to the center. When traveling to Puerto Rico ensure that you bring whatever medications you may need for your stay. Pharmacies work similar to those in the United States and won’t distribute prescriptions without proper authorization. There are many pharmacies on the island, and most of them can be found at the various Walgreens and CVS you are sure to run into when traveling around. Puerto Rico’s nightlife and where the locals hang out is varied. Most of the nightlife revolves around local bars where people hang out and drink and talk for the night. Other places (like Brava nightclub in San Juan Hotel & Casino) brings both the locals and travelers to dance and drink the night away at a club that can easily be on Miami’s Ocean Drive. La Placita in Santurce on Thursday and Friday nights is the local flavor to check out the scene and get your nightlife on in Puerto Rico. Please see our Nightlife section at the end of each region to know other spots you can check out when going out at night in Puerto Rico! 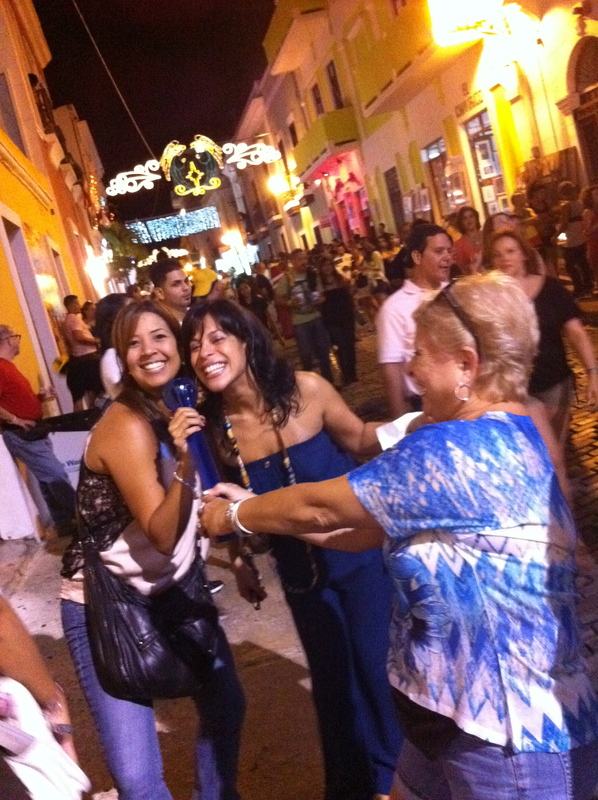 The nightlife of Puerto Rico: Drinking, talking, dancing, singing, and guaranteed fun times. Being aware of your surroundings is of paramount importance when you’re traveling. While we do feel that Puerto Rico is a very safe place to visit and travel and explore, there are minor exceptions to this rule and you have to be aware. Petty thefts and car window break-ins are far more common than murders or any other serious crimes. Never keep anything in your car visible that would make it attractive to break the glass. The police of Puerto Rico have made a concerted effort to crack down on the crime rate by stationing policemen/women pretty much near every street of the Metro Areas of Old San Juan, Condado, and Isla Verde. When you’re traveling around the island, don’t let the mountain towns and “less than modern” buildings fool you into thinking you’re not in a safe place. The Puerto Ricans out of the Metro Area are usually very down to earth and welcoming. Just use common sense when traveling and keep valuables stored and away from sight. Keep photo documents in your computer of your license, passport just to be safe. The Puerto Rico Tourism Company has offices around the island as well as various regional offices in countries around the world. Shopping in Puerto Rico is a whole day event and experience all unto itself. If there’s one thing that Puerto Ricans love & that is shopping, and you can make a safe bet you’ll find whatever you need when it comes to meeting your shopping needs. From the cobbled streets of Old San Juan to the outlet malls of Barceloneta and Canovanas, visitors will find everything from modern clothing, shoes, jewelry, as well as local crafts. San Juan boasts one of the largest malls in all of the Caribbean called “Plaza Las Americas” – which features over 300 stores, a movie theater, and over 40 dining options. Condado and Isla Verde and Ocean Park feature more of a local “boutique shopping” experience and is famous along Ashford Avenue with various options. Please see our shopping section in the travel guidebook for more detailed information per region of the island. Smoking is pretty much banned in all public areas since 2007. Smoking is prohibited in restaurants, bars, casinos, and clubs and bars. Smoking is also prohibited in hotel common areas. People may smoke in open areas that are out in the open air and in their privacy of homes. In spite of this law, there are many shops that sell cigars and tobacco and are popular places with locals who love to smoke cigars and cigarettes. Puerto Ricans are passionate about sports are are most known for their talents in boxing, baseball, and basketball around the world. The original Taino Indians on the island played a game called batey, around open stone fields that was similar to soccer. Baseball in the island rose to prominence with American influence and many famous baseball players have enjoyed stellar major league careers such as Roberto Clemente, Ivan Rodriguez, Orlando Cepeda, and Hiram Bithorn (see our People of Puerto Rico section). Basketball blossomed in the 1990’s on the island as the international men’s basketball team has enjoyed success, including a shocking victory over the United States Dream Team in 2004 which featured such NBA stars such as Tim Duncan, LeBron James, Dwyane Wade. Puerto Rico handed the US their most lopsided loss in international play by demolishing them by 19 points led by former NBA role player Carlos Arroyo. Another point guard years later rose to fame on this island. J.J. Barrea helped lead the Dallas Mavericks to an NBA championship in 2011 and beating my beloved Miami Heat in the process. During the days and months that followed, I had to endure “Mavericks fans” for a grand total of, um, er, 1 year. The next year they became “Thunder” fans. The following year they were “Spurs fans.” By the time you read this, they will be fans of the previous years “Champion.” But I’m not hating. I’m not! Just a sports observation! In terms of boxing, by far the most popular boxer of all time is Felix Tito Trinidad who was a famous welterweight and middleweight champion during the 1990’s. Other famous boxers include Miguel Cotto, Hector Camacho, Wilfredo Benitez, and Wilfredo Gomez. The climate of Puerto Rico lends itself to year round sports playing, and other sports such as golf, tennis, horse racing, surfing, are popular in the island as well. Please see our “Activities & Adventure” section if you personally want to do these sports in the island. 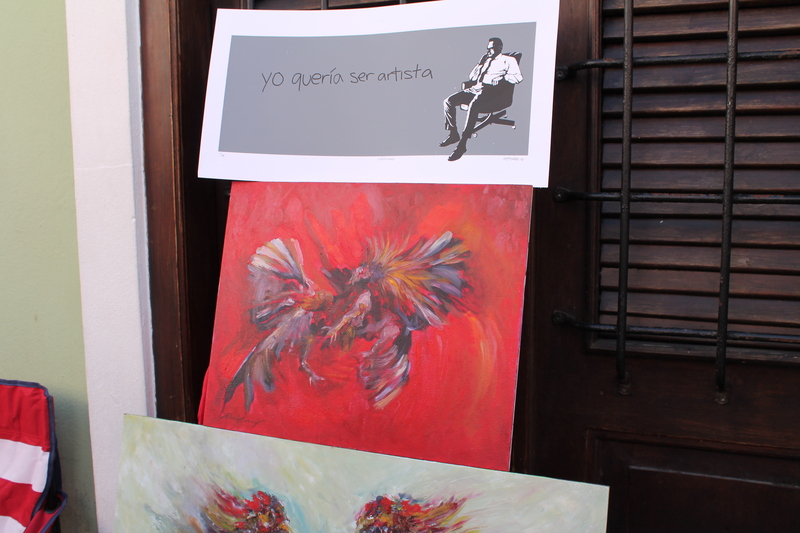 Puerto Rico enjoys a culture that reveres and appreciates the arts and the creative talents the island has produced. There is a rich cultural history to explore through the arts, and can be seen in museums as well as art galleries in San Juan. Some of the most well known Puerto Rico artists are Jose Campeche and Francisco Oller, and their works can be seen in Museum of Art in Puerto Rico and various art galleries. Some of the better and contemporary artists today includes Edward Pérez Pérez – you can check out his work to get an idea what’s happening in the Arts scene today in Puerto Rico. Puerto Rico Adventures Revealed has an extensive chapter of “The Arts” of Puerto Rico that goes in-depth of other famous painters (yesterday & today), museums and galleries to explore, as well as the best contemporary artists of Puerto Rico today. Be sure to check it out! If nature is the soul of Puerto Rico, art it’s colors and vibrancy, then without a doubt it is the music that’s the heartbeat of the island. The music of Puerto Rico obviously begins with nature and it’s ever-present song of the coqui – Puerto Rico’s native tiny frog that is only found in the world on this island. Once you arrive on the island you cannot mistake nature’s sound that is famous for it’s persistent and distinct calls. “Co….kee, Co….Kee, Co….Kee.” What’s interesting about the coqui singing her music is that it is formed at a perfect seventh apart. Meaning, that it is a natural two note song that are a perfect seventh apart and is a natural song. The song of the coqui is celebrated on the island and is a sound you’ll always take with you wherever you go to sing you to sleep at night. 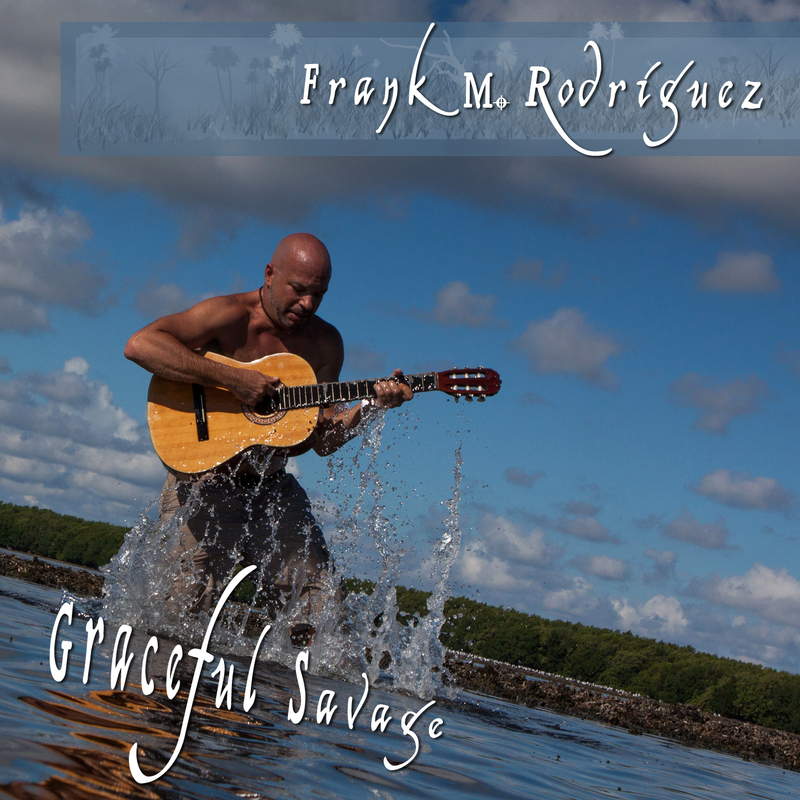 The human counterpart of the music and history and what’s coming for the future of Puerto Rico sounds is a song and story unto itself. The mix of cultures and heritages and Taino Indian/Spanish/African/United States lends towards an amazing kalaediscope of musical alternatives for your ears to drink in. Music is a huge part of life in Puerto Rico, and you can basically walk anywhere and hear the music from today and yesterday blasting through local establishments as well as from the cars. You simply cannot go a day in the island without being turned on to something new in terms of music as there’s much to discover – especially if you’re an audiophile. Please see our “The Music” section in the final travel guidebook for a very detailed and thorough breakdown of the best musical artists of yesterday, today, and tomorrow. Download our Sample Chapter for some music recommendations and playlists before your trip to Puerto Rico! When you talk about the people of Puerto Rico you first have to begin with their strong sense of family and the bonds of love that typically remain close for the rest of their lives. Family is strong and sacred in Puerto Rico. Puerto Ricans are also the first to help strangers and visitors to their island, and ironically support artists from other parts of the world more-so sometimes than their own. They are passionate and friendly. They are expressive in their conversations and hold true to their convictions and morals. They are hard workers, and they love to party and relax as well. They are notorious for having massive cookouts on the beach drinking their Medalla beers and Don Q Rum & Cokes (or as I like to call them “Cuba Libres.”) They live life till it’s fullest, yet they are not perfect. They say they are perfect as a joke, even though they are not (duh, it’s clearly the Cubans!) If you ask 28 residents from the 28 nations that make up the Caribbean islands, all 28 of them would tell you that theirs is perfect. Puerto Rico is no exception. There’s always some “drama” going on in the news and there is always some “chisme” about other people. Chisme means rumors and gossip about others. They enjoy a good tale and talking about others. Models make the front page of the newspaper and the “sky is always falling or they are running out of money” and the actual news that truly affects the island makes the 2nd page of importance. The media is obsessed with models and celebrities (the surface), but don’t judge them for that. I even admit it’s kinda fun sometimes to talk about Maripily, but I do hope for a media I can relate to that brings thought pieces from Puerto Rico leaders that don’t divide others/ourselves (the internal). These people do exist, you just gotta dig beneath the surface. Kinda like the beautiful caves of Puerto Rico. The Puerto Rican people hope for the best and prepare for the worst. They seek better opportunities for their children than the ones they had. They leave their land for a better day, and yet write songs that lament the loss of leaving their island and hold tiny regrets. No matter where a Puerto Rican goes to live, Puerto Rico is always their “home.” Rafael Hernández Marín is one of Puerto Rico’s most famous musicians from the 1940’s. To this day, his songs are remembered by the generation prior to us as songs of nostalgia, love, and days of simpler times and heartfelt connections. While sad and homesick one day in a cold and rainy day while living in New York, Hernandez was longing for the sunshine and paradise of Puerto Rico. There he wrote perhaps his most well known song called “Lamento Borincano” (Puerto Rico Regret). Allow me to sing to you as well. This is a good example of why the Puerto Rican people always hold on to their culture and heritage, although it has technically been at siege since the Spanish and the United States took the land from the spiritual and peaceful Tainos. They are great dancers and lovers. They are red, or blue, whatever that means (politically). They are pro-state, independent, or status quo (whatever that means). I know what it means by the way, even if it makes no sense for the future prosperity of her destiny. What I mean by this is that political labels seem to form their identity as Puerto Ricans and are the way “lines are drawn” in order to divide. Their politics sadly divides. As it does in the United States. This, in my humble opinion, is not what people are here for. It’s not the future I’d like to see for my Caribbean Islands. Puerto Ricans want to change, yet they don’t or don’t know how to start. Their destiny is in their hands (The People), yet few know this. They know it’s inside, yet spend many dollars and debt on outer beauty aesthetics and miscellaneous distractions (the surface) instead of pursuing what makes them “come alive!” (the internal). By coming alive I’m simply saying following your passions and talents – even if we do have to work hard on some dead end jobs sometimes in life. Even if we have to worry about our financial future. Even when we have to do things we don’t want to do. Even if we have to serve and be of service to others (especially our own people!) Even if we have to reinvent our colors (so to speak). There’s more than enough time to come alive in one’s life and change a course of destiny. More often than not, in my opinion, it’s not a superficial “exterior/surface” endeavor and certainly not an illusory political dividing line or color. This is not just a Puerto Rico thing. This is a universal thing. Puerto Ricans are dreamers, and talkers, and Doers (as a complete abundance of special “Boricuas” have indeed “come alive!”). They are bandwagon fans of worldwide sports players with no loyalty to “teams”, yet they proudly defend their own people vigorously and follow them with passion and love. They are loyal to their Puerto Rican people living outside their country, yet oddly divisive to some inside that come from the island but from different towns or political affiliations. I’d compare the Puerto Ricans living in the United States and those still living inside the island as a form of a “pointillism” painting. From afar, Puerto Ricans look and act as a unified culture in a perfectly admired painting. I remember way before I had any earthly idea that I’d be living in Puerto Rico (nor had any clue whatsoever about anything remotely to do with this island), that when two Puerto Ricans living in the United States would meet each other they were life long friends and would spend hours upon hours talking about their country. This fascinated me, and I always loved how two complete strangers can be of support for each other just because they shared a brotherhood over a country and where they came from. On the other hand, however, once living inside this country I saw that the dots I’ve experienced in the pointillism painting I had originally envisioned didn’t necessarily match this unified view. As you look closer and at the details, the dots paint a culture of contrasts. They may talk alot about other people, but their actions are of good and kind intentions. San Juan makes fun of Ponce and kinda thinks they’re better people than them. Ponce says “Ponce is Ponce and the rest of the island especially the Metro Area is a parking lot.” This is hilarious to me because it is a tiny island and they are 1.5 hours apart! They are the same people! They are also corrupt politicians, and they are even more honest ones as well. They are world famous musicians and actors and entertainers, and they too are local homeless people asking for some change to spare. They say one thing even if they mean another. They are straight forwardly contradictory, but that’s okay. Their actions speak louder than their words. I know this is a cliche, but how else would you describe how kind and generous the people of Puerto Rico are from my experience and point of view living here the past 4 years, and hearing their words that don’t match? Perhaps I’ve been lucky and fortunate to meet the best of the best Puerto Ricans, and perhaps I do live in a bubble and in my own world, but I truly do witness actions that speak of great character even if the words fail their attempts of trying to bring one or others down (usually in a comical manner.) It’s a funny contradiction, I know, but a great one! They are black and white and dark and light. They are races of a thousand colors of light – or so the song by Ricky Martin goes. Puerto Rico, and her people, is a painting worth taking in and admiring once you GET the whole picture. Because the people of Puerto Rico are like where you’re from if you can believe that. They are like your people. They are like YOUR country. Puerto Ricans just are funnier, better looking, have great tans (Arroz Q Carne Hay! ), sing as they speak in two languages, and live in paradise, that’s all. They are me. They are You. The Puerto Rico people are simply great and kind people. Don’t take my words for it, visit and travel or move to Puerto Rico to see that for YOURSELF. Traveling is not about the places, it’s about the people you encounter. Some say the world is a mirror. What do YOU say about others or your own people? Who do you SEE when You travel? The good news, though, is that many Puerto Ricans do see and live their lives clearly. The vast majority in fact I’d say, although the local media won’t have you believe this as I mentioned earlier. I see and meet them everyday and have done so for the past 4 years living and exploring most if not all of this island. I do feel as if I’ve met the entire spectrum of “the people of Puerto Rico.” Some bad, some I forget, some I choose to forget, some I remember, some good, some great, and yet many, many other Puerto Ricans that are simply beyond great and forever a part of my story. Perhaps I’ve met myself along the way as well (in many respects) and am happy to be sharing this travel guidebook with those future travelers coming to “La Isla De Encanto” of Puerto Rico. Please see our “The People” chapter for an in-depth profile of many others of the most influential “ Puerto Rico People” in the country’s history and story so far in our final version of the Travel Guide Book. Puerto Rico is on Atlantic Standard Time (AST) (EST +1; GMT -4) year round. Because of this the island does not observe Daylight Saving Time (one hour later than Eastern Standard Time (EST) from October to April, and is the same as Eastern Daylight Saving Time from the first Sunday in April to the last Sunday in October. Thus, Atlantic Time Zone is 4 hours behind GMT and one hour ahead of Eastern Standard Time. Puerto Rico hosts over 3,700,000 tourists arrivals per year, with 1.2 million of those people come as cruise ship passengers. The average length of stay for a traveler on the island is 2.6 days, and many of them use tourism operators for activities and things to do and see in the island. We provide in our interactive travel guide book “Puerto Rico Adventures Revealed” a thorough review and feedback on many of the best tourism operators on the island. Please see our “5 Day Adventure in Puerto Rico” as well as our “Activities & Adventure” chapter for specific recommendations on Puerto Rico’s tourism operators. It’s always recommended before you travel anywhere to get some information on travel insurance to protect you from cancellations, lost or stolen property, injury, or illness. Most insurance companies will offer some sort of coverage if you can handle these logistics before your trip to Puerto Rico. If you’re going to travel with your pet, ensure you have your veterinarian examine your pet to ensure that it is healthy enough to make the trip. The airlines and Puerto Rico require health certificates for all animals transported by air. You will be required to: 1) Have your animal have two pieces of identification around it’s collar with name and address and phone. 2) A rabies quarantine certificate from the vet demonstrating that pet has had a rabies shot. For more information contact the U.S. Department of Agriculture Puerto Rico Veterinary Division at (787) 766-6050. There are no vaccinations required for visitors coming to Puerto Rico. However, those arriving from or coming from countries where a health epidemic has been formally declared may need proof of vaccination before they can enter the island. Puerto Rico Department of Health issues certified copies of Puerto Rico birth certificates, death records, marriage licenses, and divorce papers for events occurring within Puerto Rico. For more information and addresses if you were to need one call 1-866-676-6765. The voltage in Puerto Rico is the same as in the mainland United States (110 volts, 60 cycles a.c.) and you can safely plug in your iphones, smart tablets, and various chargers without needing any international converters if you’re coming from the United States. Puerto Rico is known as having one of the best climates in the world with pleasant and unvarying weather patterns on the island. The island is at it’s wettest and hottest in the months of July and August, and during this rainy season afternoon thunderstorms are pretty common. You do have a good chance, however, of avoiding these afternoon rains and still enjoy your day. The southern coasts beyond the mountains are much warmer and have a drier climate (you can even see cactus on the beach!). The mountain ranges of the Cordillera Central are typically much cooler than the rest of the island, and especially so at night. In San Juan and the Metro Area section, typical highs during the wet and hot season (April-November) is 89 degrees during the day and in the mid 70’s at night. From December-March (high tourist season) presents the best weather with 80 degree highs and lows in the 70’s with significantly less rainfall. March is the driest time and less likely to have rain in the island. One thing to keep in mind is that Hurricane Season does pass through the Caribbean and is something to keep an eye on in the months between May-September. All in all though, most days have their bursts of sunshine and threats of rain. So don’t let either fool you. If you see it may rain, it’ll probably get sunny. If it’s sunny, don’t be surprised if it rains. Not enough to ruin some plans in our opinion! In the island of Puerto Rico you will notice that distances are measured in kilometers, but speed limits are indicated in miles. Weight is measured in pounds and gas is sold in liters. Most other measurements use the British Imperial system. There is an extensive list of what to bring once you are in Puerto Rico with essentials you will need to explore the island and adventure around! The sample chapter is free and has this information. Go ahead and download it at the links below or anywhere else on our site so you can further plan ahead.